Thirty years ago, Poles overcame their internal divisions and resoundingly rejected communism and subservience to the Soviet Union. French President Emmanuel Macron’s recent call to reform the European Union is a sign of hope for the entire continent. Even though we have our differences, we are in agreement when it comes to the essential questions. Macron is fundamentally right about what Europe must do to continue flourishing. We must revitalize the EU by making it more democratic, cohesive, and just. And we must strengthen Europe against enemies that want to weaken it – namely, internal populist forces and the foreign powers that support them. When populists achieve power, as the ruling Law and Justice (PiS) party has in Poland, they dream of sowing division among democratic opposition parties. But we have overcome their cynical strategy by creating the European Coalition of opposition forces ahead of the European Parliament elections in May. This new democratic alliance, which I lead, is already ahead in opinion polls and is on its way to defeating PiS – first in May, and then in Poland’s general election this fall. Both elections are crucial. Poland needs a new government that respects the rule of law and plays a positive role in the EU. And Europe needs a Poland that, while defending its own interests, also fights strongly for the democratic values that are essential to the EU’s future. Poland knows first-hand the threats – anti-European attitudes and attacks on the rule of law – that Macron highlighted so well. Although Poles are among the most pro-European people in the EU, Jarosław Kaczyński, the PiS leader and de facto head of the Polish government, is poisoning our ties with the Union. The current government has marginalized Poland to such an extent within the EU that its voice matters little. This is why every sensible Polish politician views our country’s return to a respected and active position within European structures as a vital national-security interest. That will not happen unless we defeat PiS later this year. If PiS wins a second term in power, Kaczyński may well administer the final doses of his xenophobic poison, by completely subordinating Poland’s judiciary and media to his party’s whims. Can a country without an independent judiciary remain in the EU? I think not. A new Polish government led by the European Coalition would seek to participate in Macron’s initiatives to reform the EU. We agree with him that the EU can compete with other global powers in ways that no single member state can. We also agree that the EU must strengthen its external borders, protect its democratic processes from external manipulation, and invest in research and innovation at a level similar to the United States and China. What’s more, individual member states and the EU as a whole must begin to coordinate economic, defense, and education policies. Our current deficiencies in this area give foreign actors an advantage and raise the risk that they will take over further branches of European industry. But I am not convinced by Macron’s suggestion that creating new EU agencies is the best way to tackle these issues. The EU already has more than 30. More agencies mean more bureaucracy – an outcome that is unlikely to inspire much enthusiasm for Europe. A simpler solution would be to strengthen existing EU institutions and ensure that they receive sufficient funding. Macron is right that “progress and freedom are about being able to live from your work.” But any administrative attempt to equalize EU labor costs would lead to job losses in Poland and elsewhere in Central Europe, and reduce the capital inflows that help to raise wages and allow the region to catch up to wealthier countries. Manufacturing would continue to leave EU countries that are not sufficiently competitive, but it would go to other parts of the world, not to Central Europe. Macron is undoubtedly correct, however, to emphasize the importance of European defense and security policy. 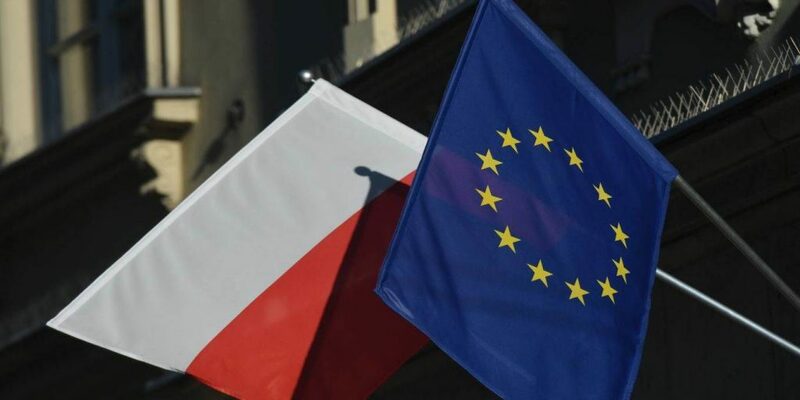 Should we win power in Poland, the European Coalition intends to initiate a strategic debate among EU leaders to develop effective institutional measures and broaden the EU’s defense resources. The EU needs a robust defense budget and coordination of production within Europe’s defense industry to guarantee that we can realize the missions we undertake. Here, the EU should show more initiative regarding future cooperation with NATO. It should aim to reaffirm transatlantic ties and strengthen operational links between the two organizations’ military capabilities. The key to our joint success is defense capacity – transatlantic wherever possible, and European when necessary. Nor should we forget the important task of completing European integration. Let us welcome the Western Balkan countries when they are ready. And let us respect the European aspirations of Ukraine, which is of great strategic importance to Poland and the EU. European solidarity should reach as far as Ukrainian cities – if it does not, Europe will never be a secure whole. Thirty years ago, Poles overcame their internal divisions and resoundingly rejected communism and subservience to the Soviet Union. This ultimately led to the fall of the Berlin Wall and the end of communism in Europe. Today, confronted by a populist government that wants to divide us, we must remain as united in the cause of democracy, and in our rejection of lawless authoritarianism, as we were in 1989. Macron’s call for European renewal has come at the right time. We are determined to return Poland to its rightful place in democratic Europe, and we are ready to undertake our common task of reforming the EU. Originally published by Project Syndicate, 03.14.2019, republished with permission for educational, non-commercial purposes.